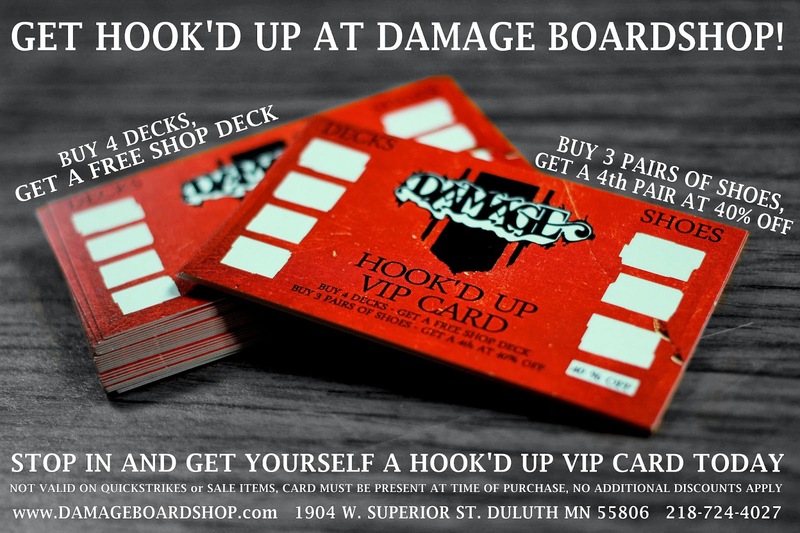 Damage Boardshop: Mini Ramp and Rage. 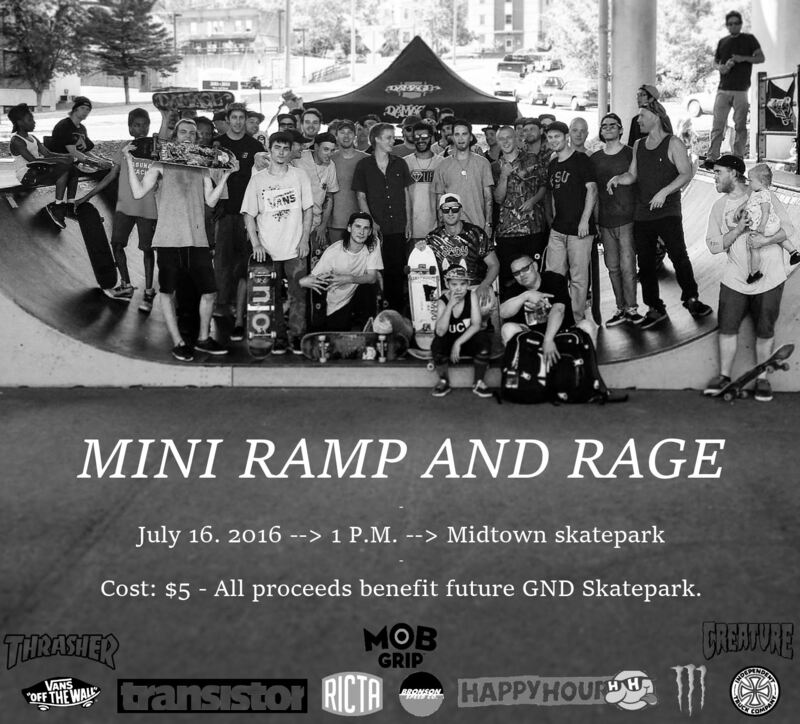 Mini Ramp and Rage / Vans Skatepark clean-up at Midtown. Cost is $5 and all proceeds benefit the future GND Skatepark! 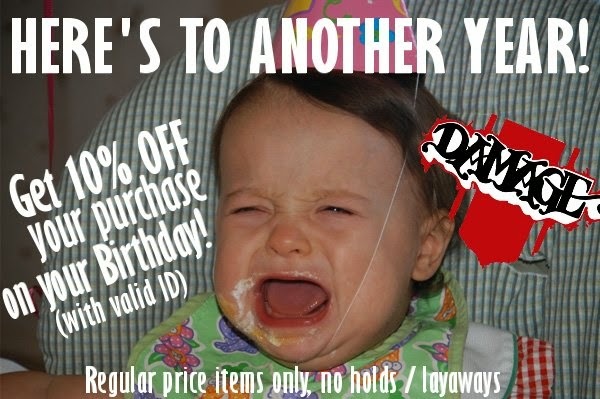 An all ages jam with plenty of prizes to be given out from our sponsors!